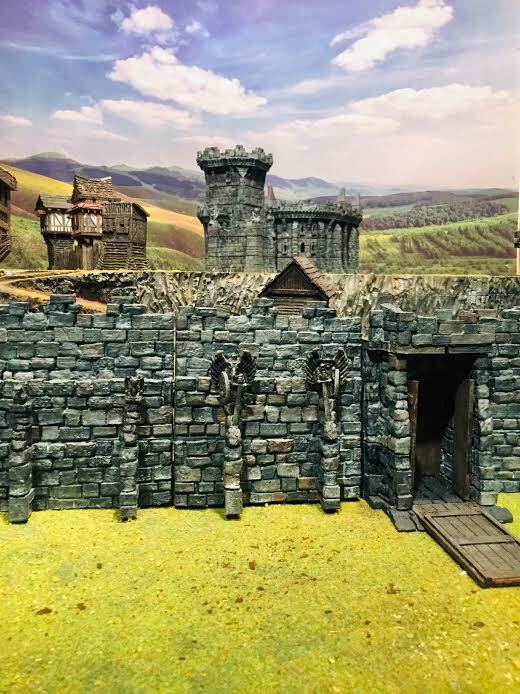 Time is quickly winding down on our Kickstarter Campaign for Our 3D printed castle and fortress walls. We are finally starting to blow the lid off this thing and have opened 5 stretch goals in the last day! We still have a full 24 hours. Based on the web traffic metrics and campaign following, I honestly don’t think we are anywhere near the roof. Get over there and check it out if you have somehow missed it! 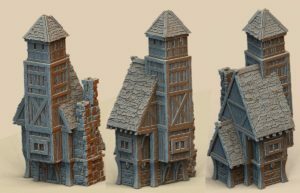 We have uploaded a bunch of building samples and figures onto thingiverse. The most notable is a mini-keep sample based on our Kickstarter. Check out the imgur album, there is a link in there to our profile on thingiverse. 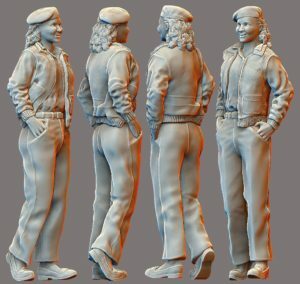 I also released a model of a WWII Female Pilot. It is a bit off topic for sure, the pose is pedestrian for fure but the work is super high poly for 72mm resin printing or larger. Photo is linked to file. 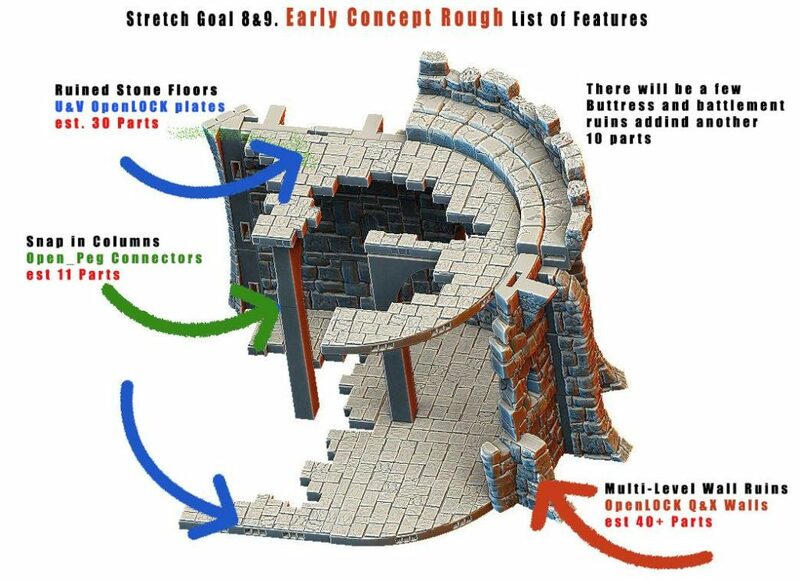 I threw in a quick mock-up to explain our ruins stretchgoals 8 & 9. These will basically be a whole entire product within a product. Between this and the X/Q wall variants stretchgoals there aret 160+ Parts. This does not even counting the other 13 strechgoals opened up so far. Finally we also added a low reward level building that all backers will get. It is a tall Town Watch Building and features a couple holding cells inside. The roof is a new style feature that will be used on the gatehouse and integrated into our Open__Peg Build Sys tem. 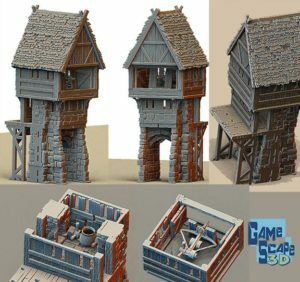 By the way, the gatehouse will feature an oil pour and a ballista nest! Copyright © 2017 GameScape3D, All rights reserved.